Maria Hueber is a pioneer of education for girls and women in Tyrol and the first Tyrolean woman to found a religious order. The congregation she began in 1700, the Tertiary Sisters of St. Francis, remains numerically the largest female community of South Tyrol. Maria Hueber certainly counts as one of the most notable women in the history of Tyrol and still has what it takes to be a role model today; information about her life has been preserved and studied and she is being considered for beatification. Nonetheless, like comparable women in other regions, she is has only very gradually become a fixture in the “collective memory” of her land. This may also be because she is an historical figure who on closer inspection eludes simple categorization. Thus she certainly did not grow up knowing how to found a school. Maria Hueber’s biography offers a good example of a typical female education in her time, if we can speak of such a thing at all: As the daughter of the Brixen resident and tower watchman Nikolaus Hueber and his wife Anna Tapp she was not born into the bourgeois or aristocratic upper class, in which schooling for girls, while not assumed as customary, was nonetheless not unusual. Quite to the contrary. School fees were unaffordable for her mother, who was widowed young and supported her children as a seamstress and by caring for the sick. Anna Tapp taught her daughter to read herself, and Maria learned to write on her own. And while teaching her sewing, Anna Tapp also taught her daughter arithmetic. 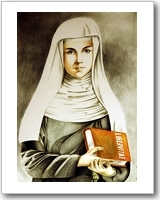 Maria Hueber’s education was deepened and expanded in her various positions in service in Bolzano and Brixen, and especially in Innsbruck and most likely also in Salzburg, above all in the religious and spiritual realm. 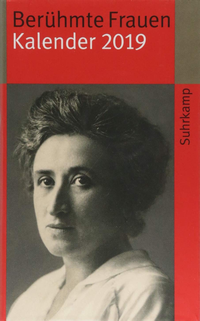 As an adult she may well have possessed a scope of education and knowledge that vastly surpassed the average level of her contemporaries, male or female. 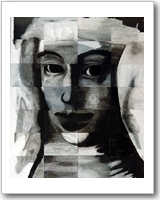 But it is likely that Maria Hueber, like most women of her day, never attended an educational institution. From her childhood on Maria Hueber served in various secular and clerical (religious) households, thereby earning her living and also supporting her mother. Her first job was in Bolzano as a “Kindsmagd,” or nursemaid, followed by positions in service to various eminent clerics in Brixen. In the 1670’s Maria Hueber moved from Brixen to Innsbruck and then to Salzburg. The reasons for this move are not known. While her service in Innsbruck counts among her positive experiences, she encountered animosity because of her piety in both of her Salzburg positions, and she returned to Brixen and her mother, who had meanwhile fallen into bitter poverty. À propos “piety,” Maria Hueber’s affinity to religious ways of life and her interest in spiritual and intellectual inquiry were documented early. For a woman of her time she possessed a better than above-average religious education and moreover cultivated a very good personal network, which included both her clerical employers and a number of Franciscan father-confessors as well. She maintained these contacts over several years through an extensive correspondence. 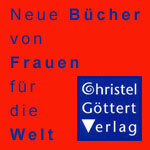 She decided at a relatively early age against marrying, but also against entering the highly contemplative female order of the Servitinnen (Order of the Servants of Mary) in Innsbruck, with which she had good personal connections. But the path to the way of life most suitable to her was still long – after all both the church and society of her time were categorically suspicious of or hostile to women’s independent spiritual or religious activities. 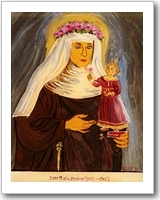 Maria Hueber took a first step in this direction by entering a lay community, the Third Order of Saint Francis; she made her profession in 1679. Just how the idea of the founding of a new women’s community evolved remains obscure. 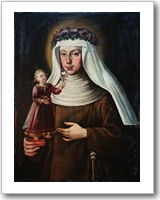 According to the “Kleinen Protokoll” (Little Journal) of Maria Hueber’s confessor Isidor Kirnigl, he visited the home chapter of the Franciscans in Rome himself in 1700, where he encountered a women’s community overseen by the Franciscans which fed and instructed little girls in their devotional practices. He reported that he proposed such a project to Maria Hueber for Brixen and she replied, “diß wer jhr Freidt” (this would be her joy). When the school (and with it the life of the community) began on 12 September, 1700, Maria Hueber was 47 and had barely five years left to solidify and secure what she had begun. Little is known about the concrete structuring of the school’s daily routine. It is certain that Maria Hueber and her first co-sister, Regina Pfurner, gave instruction, hence were teachers. For Maria Hueber that must have been the fulfillment of a long-held wish. For Maria Hueber definitely had enough contacts and had traveled widely enough herself to have known of similar female teaching orders. With the founding of her own congregation Maria Hueber must have been responding to a lack in the “offerings” of existing communities. Given the background of Maria Hueber’s decision against a contemplative order, one can assume with certainty that she and her first co-sisters had a desire for the vita activa, for work for and in the world. Such a professional path was possible in Maria Hueber’s time only in the context of an ecclesiastical institution and a spiritual calling. 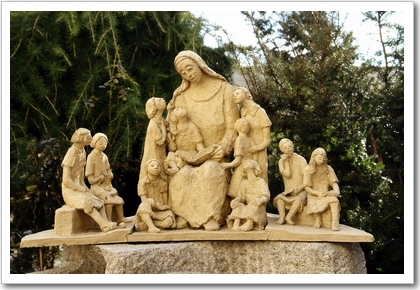 Today Maria Hueber’s congregation, the Tertiary Sisters, are by far the largest order-based community in South Tyrol (around 160 sisters); they operate the Herz-Jesu-Institut in Mühlbach, the Pädagogische Gymnasium in Bolzano (led by TANNA-woman Heidi Hintner) and the “Marienklinik” hospital in Bolzano and are active in missionary work in Cameroon and Bolivia.